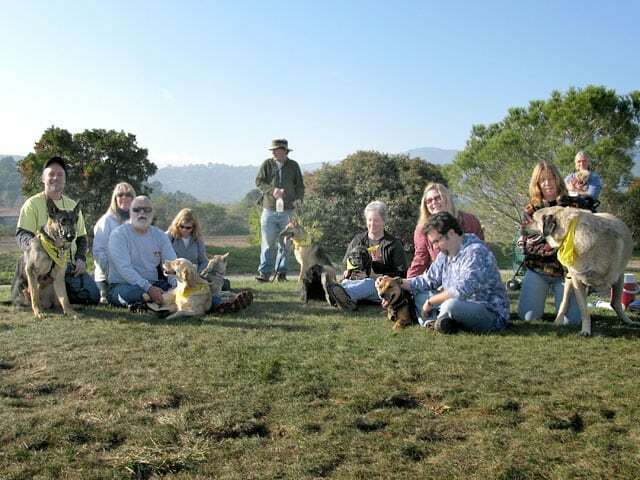 That Northern California Tripawds Party yesterday at the Mill Valley dog park reminded my people of the awesome get-together we had at the same place back in December. But I had to remind them that we never posted the video they made in my blog! After all, I was the host of honor. Other videos from the party, including interviews with little Maggie and big Cemil will be coming soon to Jerry’s blog, or so I hear. For now you can watch them in the Jerry’s Friends playlist on his Tripawds Videos page. May the beautiful Miss Caira Sue’s spirit shine on . . .
We can’t wait to go to a tripawd party! You guy rock-who needs four legs right?!?! We miss you Caira Sue!! I wish I knew some tripawds where I live. It would be so fun to hold a three-legged pawty. Terrific video. All those tripawds look like they really were enjoying themselves. And the weather…it looked so sunny! Aaaagggghhhhhhh make the summer get here. I want to go schwimming. Awwww. Caira Sue looked so good there. I’m a regular Mill Valley Dog Park visitor and I’ve seen the tripawds several times. When are you guys coming back to the dog park with the tripawds with the German shepherds?? Hey Ryan! Oh you must mean the Oaktown Pack! The gang just had a pawty last month but I’m sure plans are already in the works for another one. Visit our Discussion Forum topic, “Tripawd Parties” to find out their next date, or just stop in to say hello!